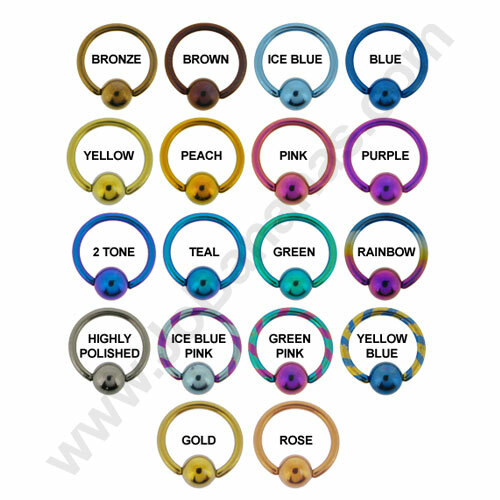 This PTFE Belly Bar is soft and very flexible so extremelly comfortable to wear whilst pregnant or for Sports and physical activities. 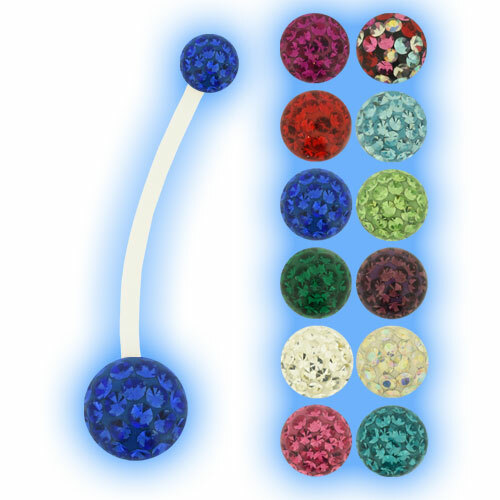 The balls are 5mm and 8mm and feature lots of tiny sparkly crystals that are coated with resin to make the balls comfortable to wear because they are smooth on your skin and also to prevent any of the stones from falling out. 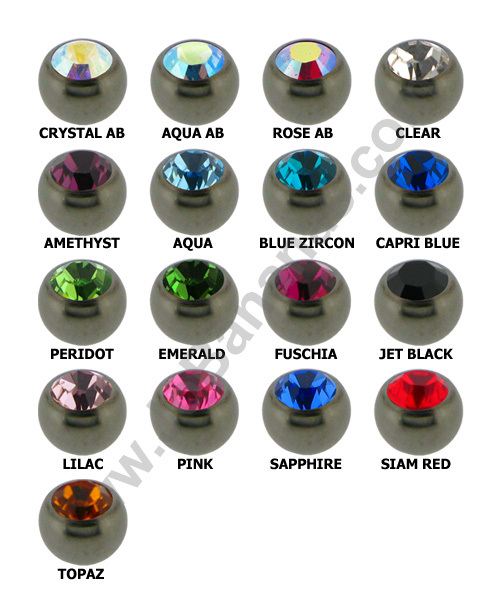 There is a choice of 12 different ball colours including Clear, Crystal AB, Aqua, Sapphire Blue, Peridot (Pale Green), Emerald Green, Blue Zircon, Pink, Fuchsia, Purple, Red and Multi Coloured. 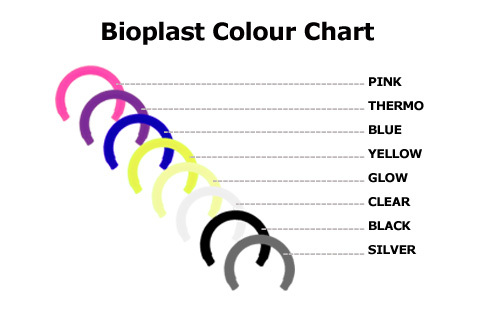 PTFE is available in long lengths so we can offer this belly bar in any required length between 6mm and 30mm. It can be cut with scissors or a sharp knife and then the metal ball can be used to cut a thread back into the soft PTFE Barbell so if you do use it as a Pregnancy bar you can cut it shorter when the baby has been born and just wear it as any normal belly bar.